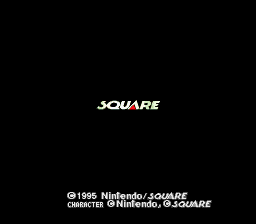 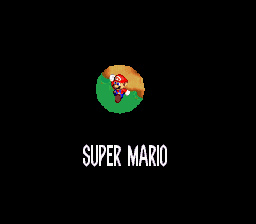 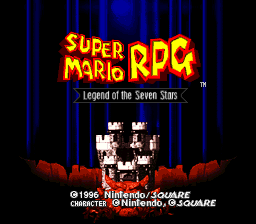 The first non-platformer Mario title. 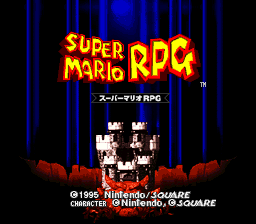 Super Mario RPG v1.00 by E.G.T.K. 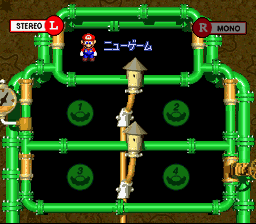 This game uses a special DSP chip, the SA-1. 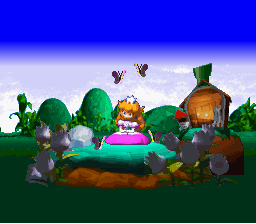 Princess Peach in Mario's front yard. 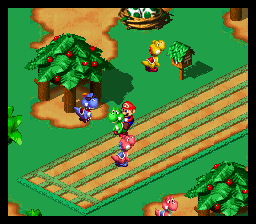 Mario on Yoshi ready for a Yoshi Race. 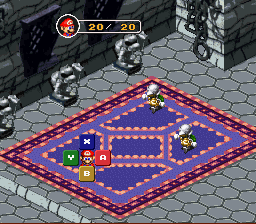 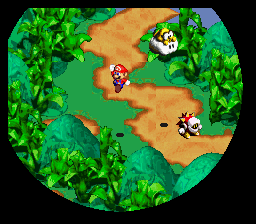 Mario in battle with Japanese style actions buttons.